The idea of the workshop is to bring traditional professions together with contemporary crafts and design by exploring new capabilities and learning techniques from expert local crafts-men. 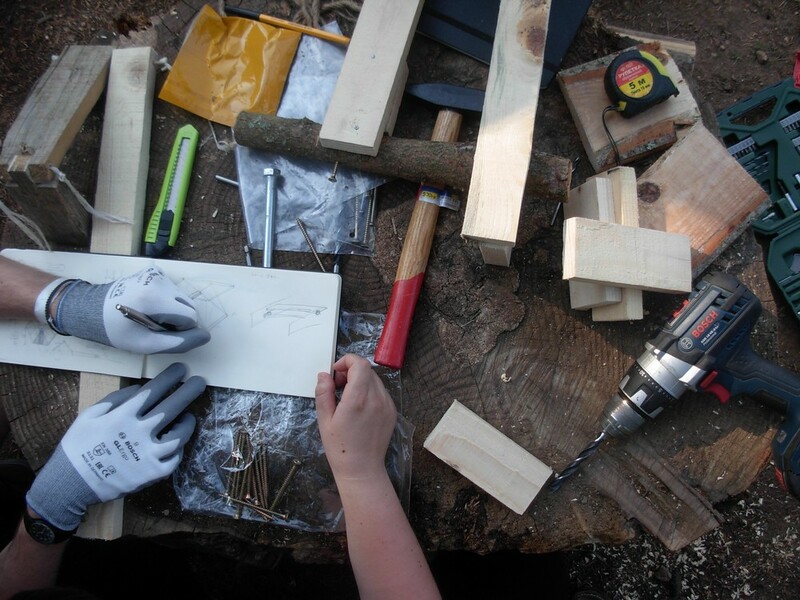 The goals of the workshop are to not only learning from the locals but also exchang-ing knowledge and sharing skills. 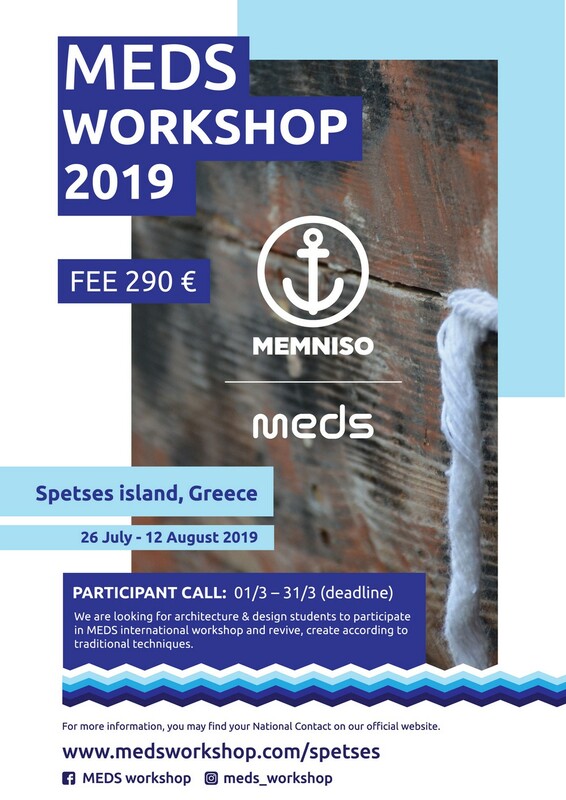 So if you are a graphic, product, industrial, or interior designer, architect, photographer or an artist, it’s your time to participate as a participant at MEDS Workshop. You will get the chance to learn more about the traditional crafts from professionals in the fields, mentors but also you will learn from tutors how to recreate a traditional to contemporary. You will be able to attend lectures and talks related to different fields of design. Most important, your project will be permanently exhibited or used for the community. MEDS workshop “Meetings of Design Students” is an international workshop that takes part each summer in a different country, focusing on various issues, themes, topics and settings that will help any designer expand their expertise. It is a chance to get in touch with diverse approaches to design, different building techniques, traditions, and skills. 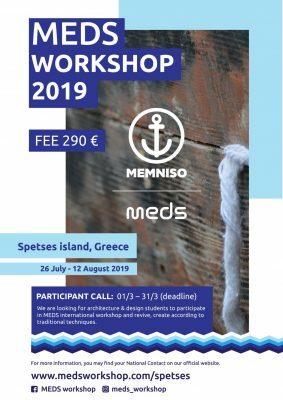 MEDS workshop is both practical and educational because it focuses not only on crea-tive theoretical designs, but actually compels participants to execute these designs during the 2-week span of the workshop. Past workshops have taken place at Turkey, Slovenia, Portugal, Ireland, Serbia, Romania, Belgium, and Lebanon. Work nominated for the European Union Prize for Contemporary Architecture, Mies van Der Rohe Award 2017. The location, on a small hill, is privileged. The longitudinal field is open to the south and the view of mountain Youhtas. 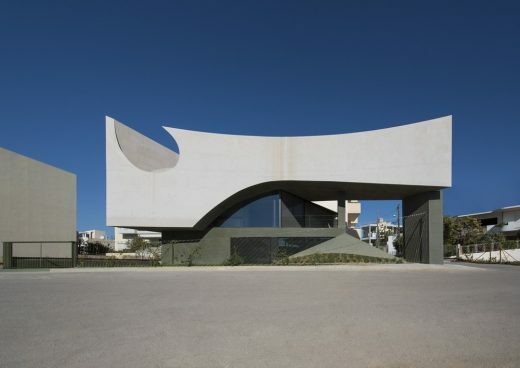 How can a linear residence deal with the intense Cretan light? The house necessarily unfolds along the south side, the side of the sun: through a double curvature the building is bend by the power of the sun’s path from east to west. 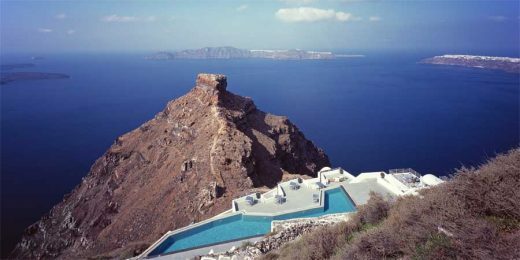 With his great affection for Greece in general and the island of Mykonos in particular, Galal Mahmoud was asked to participate in the construction of a private villa located in the very heart of the island. 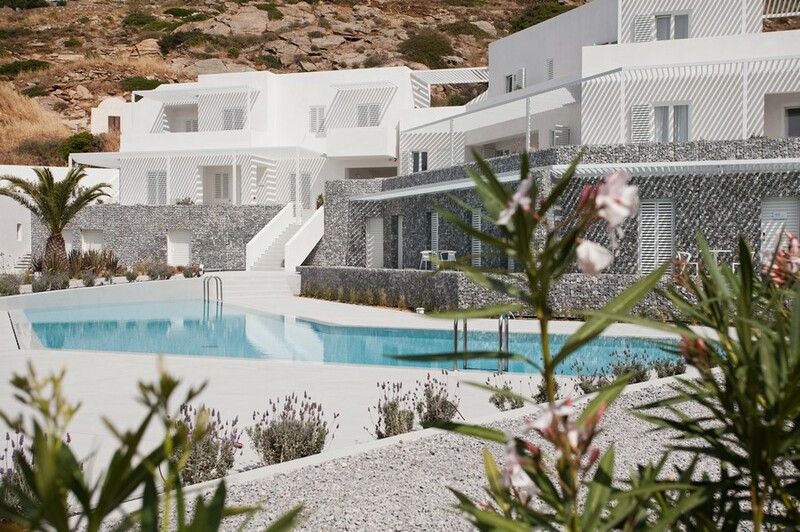 Galal Mahmoud and his design team focused on the exteriors of the residence, turning the terraces into places to live out life to the full – whilst offering protection from the Mykonos wind, which can be very strong during the summertime. 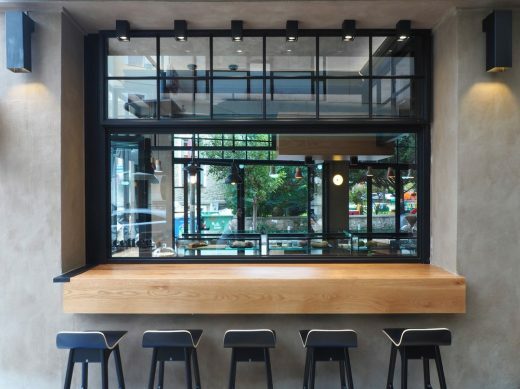 A new Cups Nine shop opened its doors, this time as a Cafe & Patisserie store. Right in the heart of the school district and opposite of one of the most popular city’s squares, the new Cups Nine comes to shake up the city for one more time and reintroduce the street coffee shops. 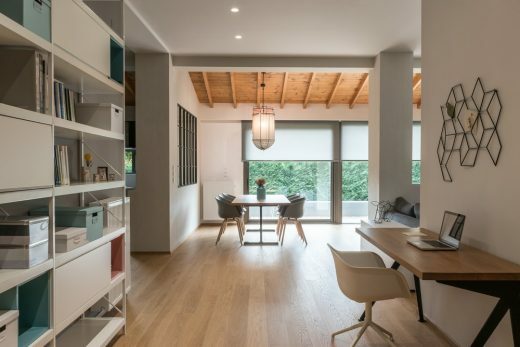 A Scandinavian influenced three-bedroom apartment is located just outside the city of Trikala. This 150sqm unit features an open plan kitchen, dining and living room area with a back garden, owned by a young couple. 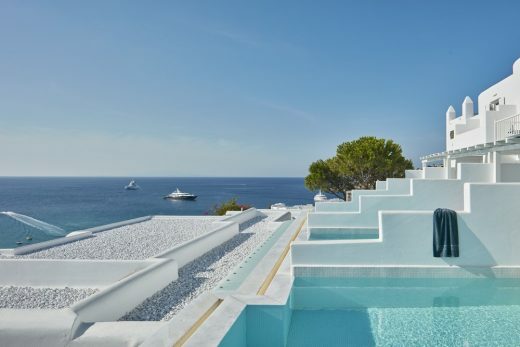 A residence designed under an infinity pool. 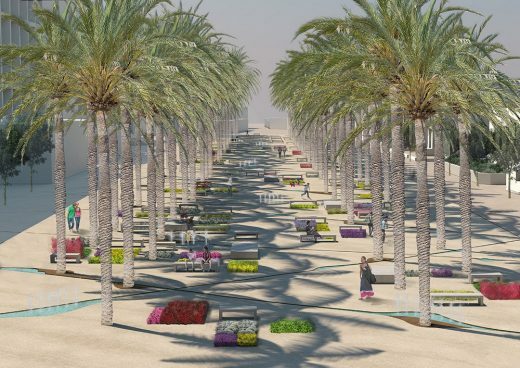 Recent winner of the 2016 American Architecture Prizes, the Mirage project is a poetic effort to reconcile nature and architecture. It concerns an island house with a unique design intention. 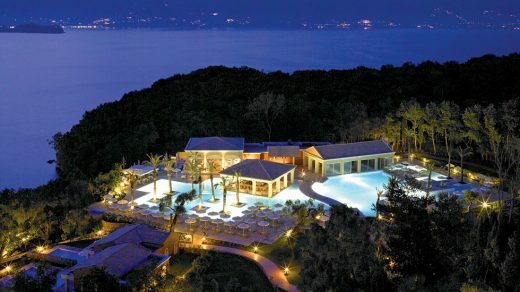 The complex consists out of 3 houses built on a wooded hillside overlooking the west coast of Skiathos and the eastern Pelion. 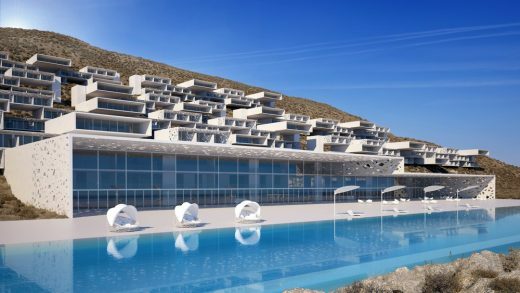 The natural environment defined the architectural layout of the complex that consists out of 6 volumes following the slope of the site in a linear formation, parallel to the sea view. 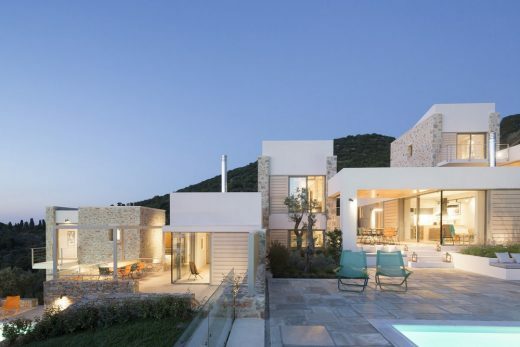 The houses are located on an olive grove in Mani with a view to the Messinian bay. This complex consists of of six stone blocks placed in between the existing olive trees. 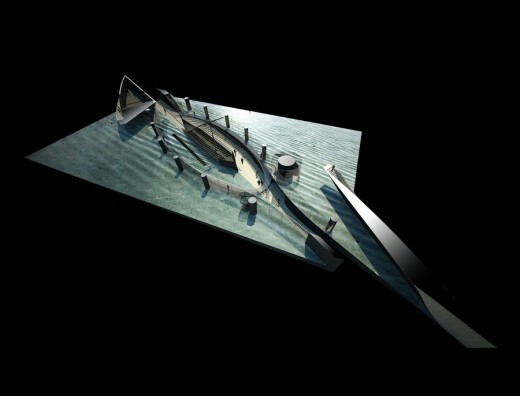 Tense Architecture Network has won the 2nd prize (shared) in the European competition for the new Museum of the Mythical Ship Argo for the city of Volos in Greece. The mythical Argo in a Museum: a defined space, simple but concise, distinct but symbolic, intelligible but mystagogical, where the mythical ship constitutes the center of attention, the main exhibit, the point of reference. 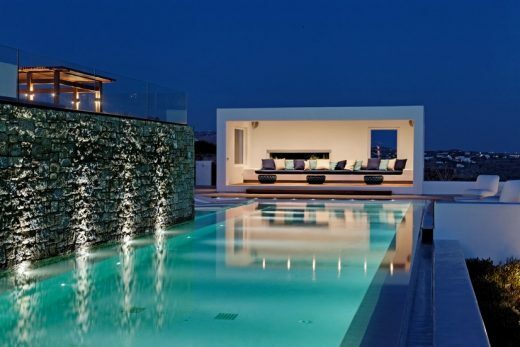 This villa property is set in the scenic valley of modern day Sparta, Greece. 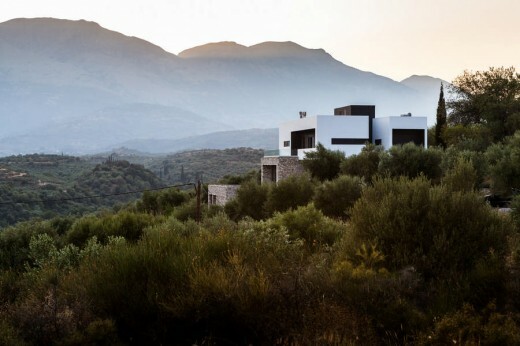 The primary focus of the project was to capture the stunning views of the valley and mountains while capitalizing on passive solar and passive cooling strategies and to create a warm and comfortable home for a young Greek family.